In case you thought it was just an old wives’ tale, yes, you really will get shocked if you touch someone who is stuck to a power source. You won’t be helping, you’ll just be making things worse. The best thing to do is shut off the power. But time is of the essence, so if you can’t do that fast enough knock them off with something that is dry and insulated. Generally something made of wood, rubber or PVC. Yes, a wooden broom handle or chair is perfectly acceptable. If they are being shocked with high voltage, it’s a different story. The current can travel through the air and zap you, so you need to stay at least 20 feet away until the power is shut off. If you’re dealing with downed lines that are dancing and sparking, stay back even farther and be mindful of puddles. 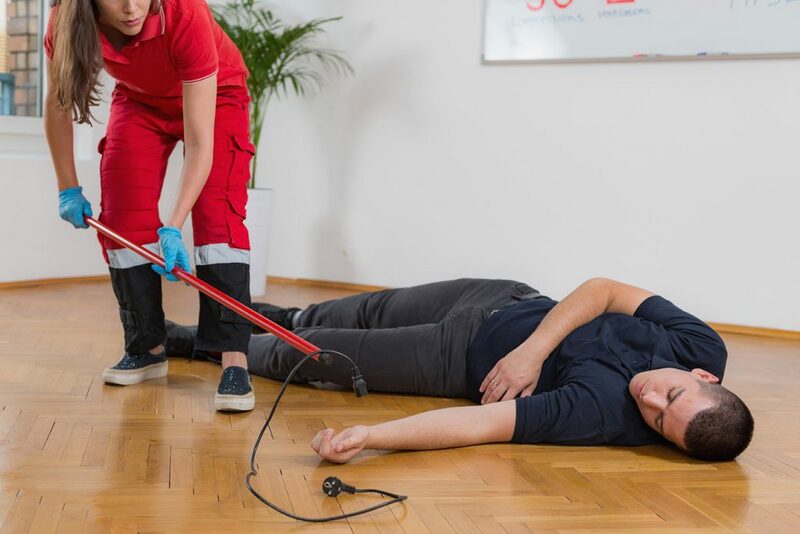 Injuries from electric shock are typically far worse than they appear because internal injuries can be involved this includes internal burns from the current, spinal cord injuries from falls, and broken bones and fractures from involuntary muscle contractions caused by the current. Do not move the victim unless you must for safety. If they are not breathing, administer CPR right away and continue until help arrives. Cover them with a blanket or coat to keep them warm. If you or someone you love was injured in an electrical accident, contact an accident attorney in your area.